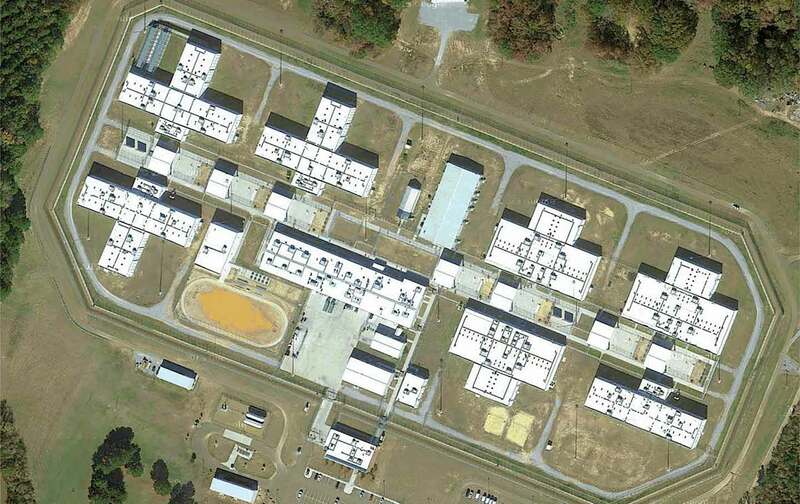 Bird’s eye view of Adams County Correctional Center. In an historic rebuke of the private prison industry, the Department of Justice today announced plans to eliminate the use of private prisons to incarcerate federal inmates. The announcement follows the release of a critical inspector general’s report and an investigative series published in The Nation, in partnership with the Investigative Fund and Reveal News. We uncovered more than two dozen questionable deaths and widespread medical negligence in the federal facilities that will now begin a process of closure. “I am directing that as each contract reaches the end of its term, the Bureau should either decline to renew or substantially reduce its scope,” Deputy Attorney General Sally Yates wrote in a memo today to Bureau of Prisons Acting Director Thomas R. Kane. The new directive means that by May of 2017, when many of the existing federal contracts are already set to end, the total number of inmates in contract prisons will drop to 14,200, down from 22,000 now and a high of nearly 30,000 in 2013. Within five years, every current federal-prison contract will have reached the end of its term. The report bolstered the findings of a June investigation in The Nation, which reviewed 20,000 pages of previously undisclosed agency monitoring reports and discovered that the BOP’s system of oversight has failed to effectively correct serious, repeat deficiencies, including medical mismanagement and negligence so severe that some clinics didn’t have a single doctor on staff. In the immediate wake of the deputy attorney general’s announcement, the stock prices of the two largest prison contractors—Corrections Corporation of America and Geo Group—plummeted, with CCA’s stock losing more than half its value by midday. While state-level private prisons have received notable media scrutiny, the federal government’s facilities have operated largely out of sight. Inmates and their advocates have long complained about poor medical care, complaints that have erupted into riots in more than one facility in recent years. Our investigation was the first to substantiate inmates’ complaints. Our first story, published in January, uncovered dozens of deaths that involved substandard medical care in the prisons. Based on thousands of pages of medical records obtained through an open-records lawsuit, the investigation found that private contractors consistently failed to provide baseline levels of care to patients sick with cancer, mental illness and AIDS and other infectious diseases. The prison medical units were gravely understaffed and relied on licensed practical nurses to do provide front-line care that far outstripped their training. In some facilities, clinics operated without medical doctors. Prisoners who complained of illness went months at a time without seeing a medical doctor, their health declining until their premature death. Part two of the investigation revealed that the Bureau of Prisons has known about these medical failures for years. We reviewed the agency’s monitoring reports and additional federal records, all obtained through the an open-records lawsuit, and interviewed former BOP monitors and officials in the BOP’s contracting office. We found that the bureau’s monitors had recorded a litany of grave concerns, including 34 deaths following substandard medical care. Yet even as a platoon of federal monitors flagged the repeated failures, year after year, contracting officials in Washington renewed contracts with derelict prison operators. Federal monitors tasked with watchdogging the facilities said they were not permitted by top BOP officials to use the full enforcement muscle to correct deficiencies, and plans to close failing facilities were derailed by the bureau’s top brass. Prison-reform advocates applauded today’s DOJ announcement. As the BOP closes the private facilities, the men held inside will be moved to federal government–run facilities. Though the process of closing prisons has already begun—three weeks ago, the BOP told CCA it would close the Cibola facility in New Mexico—the process is likely to last several years. In her announcement today, Yates said that an earlier proposal to re-up contacts for more than 10,000 beds next year will be amended to include just 3,600 beds. The announcement today does not directly impact other federal agencies that rely on private prisons. Immigration and Customs Enforcement, which manages detention for immigrants facing deportation, and the United States Marshals Service, responsible for pretrial detention for the federal criminal system, will still be allowed to contract with private companies to hold thousands of detainees.